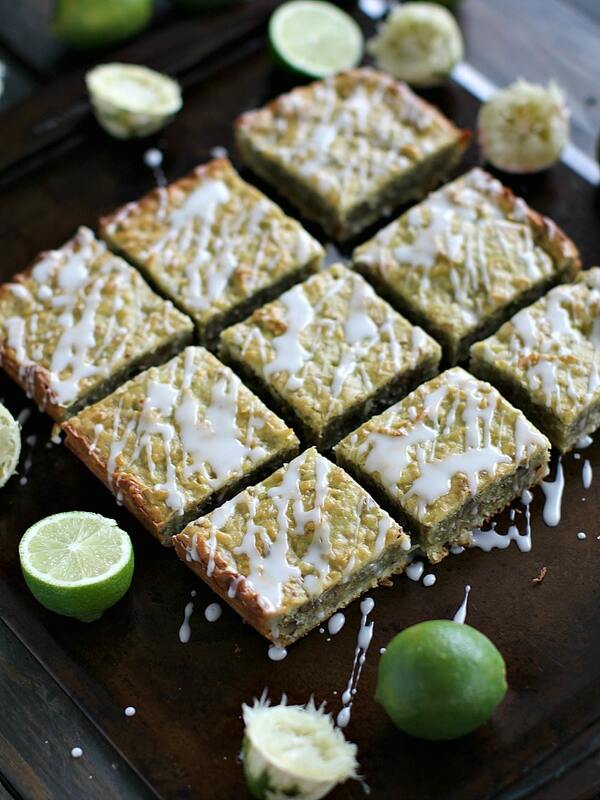 Avocado Lime Bars are sweet, chewy, dense and refreshing. Loaded with citrusy lime zest, coconut flakes, avocado and walnuts. There is no secret that I love making avocado desserts. 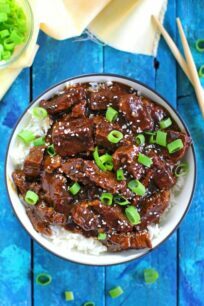 They are fun, and something different than the traditional deserts. Also, I love the color and the texture that avocado brings in them. Like my Avocado Ricotta Olive Oil Cake and Avocado Lime Smoothie, this dessert will be a great one for avocado lovers. I am completely obsessed with avocados. 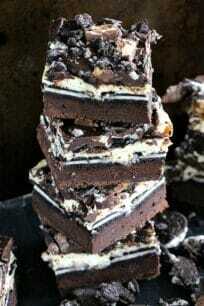 For example, I add them to salads, smoothies, ice cream, bundt cakes, sandwiches and now bars. I just can’t get enough! 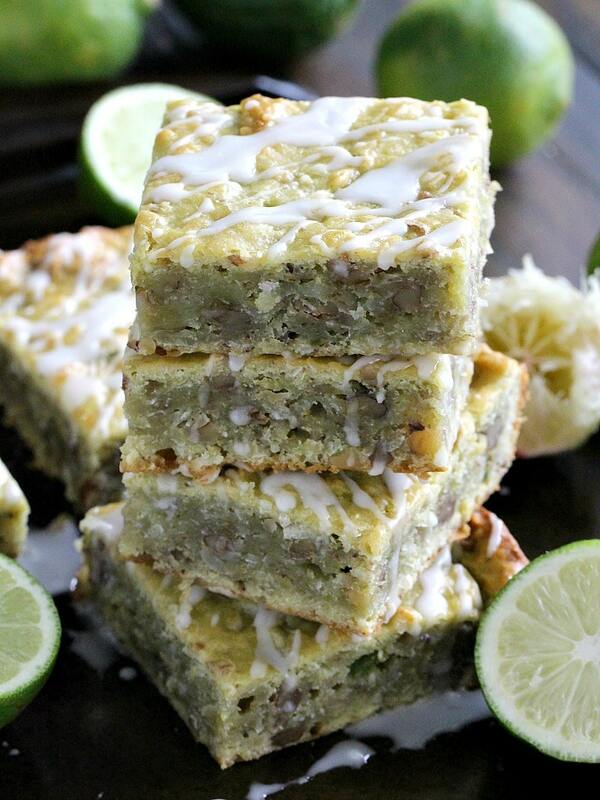 These Coconut Avocado Lime Bars are absolutely gorgeous with their slightly green hue, refreshing lime aroma, and that white lime icing drizzle. 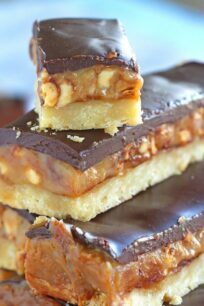 Also, the bars are dense, chewy, sweet and hearty. 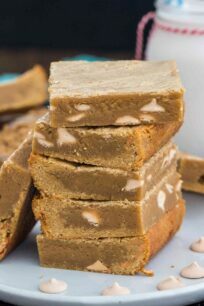 In addition, they are loaded with coconut flakes for a more tropical twist, and lots of walnuts, for a delicious crunch. 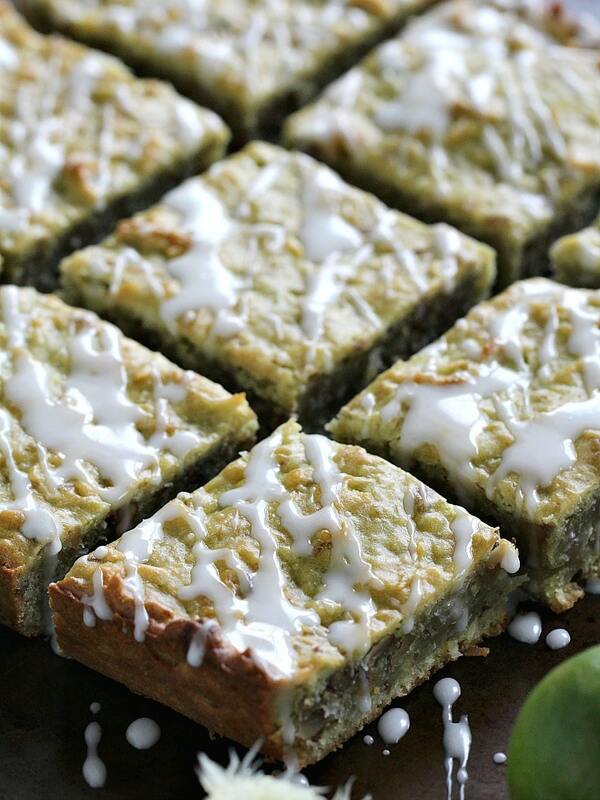 I can totally see myself justifying these Coconut Avocado Lime Bars as the perfect breakfast food. 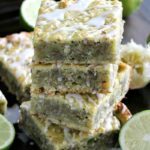 I mean, I eat brownies for breakfast so these avocado lime bars loaded with avocado, nuts and coconut are super healthy. 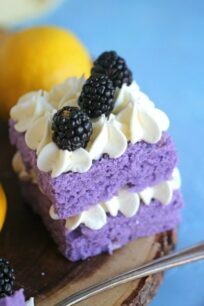 While I appreciate soft, fluffy and airy desserts, I also need sometimes a bar, that I can sink my teeth into, and devour the chewy glory of it. These bars are so chewy thanks to the coconut and walnuts. Similarly, they are soft thanks to the avocado, with a dense texture, and loaded with lots of lime zest, they are sweet and refreshing. 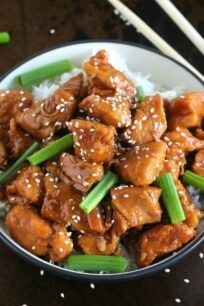 Firstly, they are very easy to make and ready under 45 minutes. Flavorful and indulging, they can be a perfect snack. Also, they are rich in avocado and lime flavor. In addition, they are perfect cookies for the holiday season or special occasion. 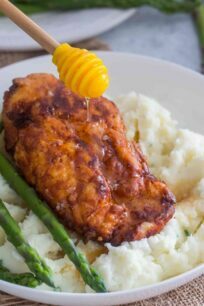 Lastly, they can be made 1 or 2 days in advance so you don’t have to worry about a last minute dessert. How to slice or dice an avocado? Remove the pit – to do that, aim your knife at the pit and whack into it, twist the knife to pull out the pit. Use your knife’s tip to score avocado flesh, making squares, then scoop it out with a spoon. If you are looking to slice the avocado, use a spoon to loosen skin all the way around, and scoop out the flesh whole. Place flat side down on cutting board and slice using the tip of your knife. 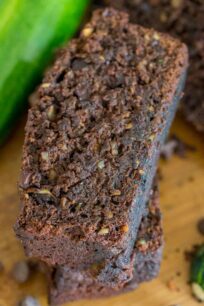 How to make Lime Zest? Next, grate the green skin of the lime only. Grate just enough to get through the green skin, this way you can avoid the bitter white pith underneath. Lastly, rotate the lime and repeat. Once the white pith is exposed, rotate the lime and zest the next strip of peel. Repeat until most of the peel is removed, or until you have enough zest for your recipe. CAN YOU FREEZE THE Avocado Lime Bars? First, cool the bars completely. Then, fully wrap the bars in plastic wrap, tightly. After that, wrap in aluminum foil or place in freezer bags. Freeze for up to 3 months. Defrost before serving. In a large mixing bowl, whisk together flour, sugar, lime zest, baking powder and salt. In a medium bowl, whisk together egg and buttermilk, whisk in avocado and lime juice until smooth. Add wet ingredients to dry ingredients and mix on low - medium speed until combined. Make sure to scrape the sides of the bowl with a spatula during the mixing process. Stir in walnuts and coconut flakes. Pour prepared batter into a greased 9x9-inch pan, and bake for 45-50 minutes, or until a cake tester inserted into the center comes out clean. Cool for 10 minutes in pan before transferring onto a wire rack. For the glaze, combine the powdered sugar and lime juice in a small bowl. Whisk well to combine, adding more juice as necessary to get to a smooth and drizzling consistency. 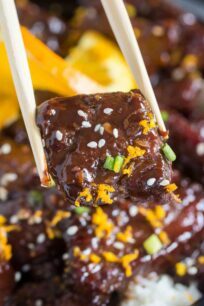 Drizzle over the cooled bars, let it stand at room temperature for 10-15 minutes or in the refrigerator (for quicker results) for the glaze to settle, cut and serve. Wowww, I’m loving the concept of these! So much deliciousness in one bar. 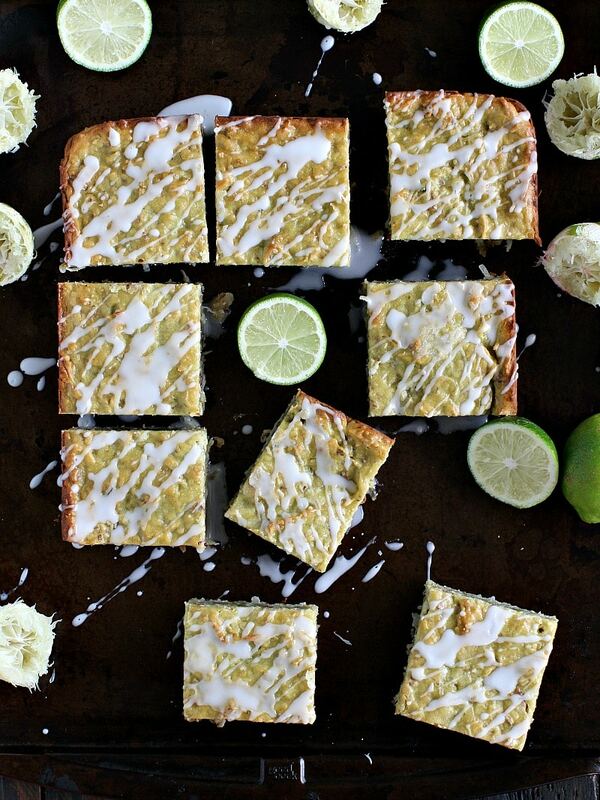 I crave lime bars like nobody’s business in summer and avocado just plain all the time!